Illuminated capacitive touch sensor display technology provides a fast and intuitive interface for users and simplifies customers interactions. 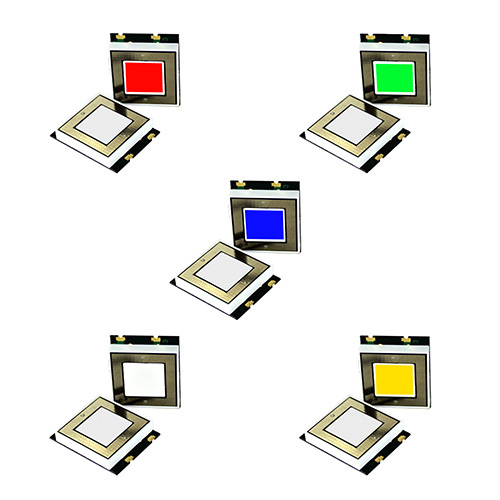 The CSM Series is offered in a range of colors which enables the device interface to be more user friendly and intuitive. 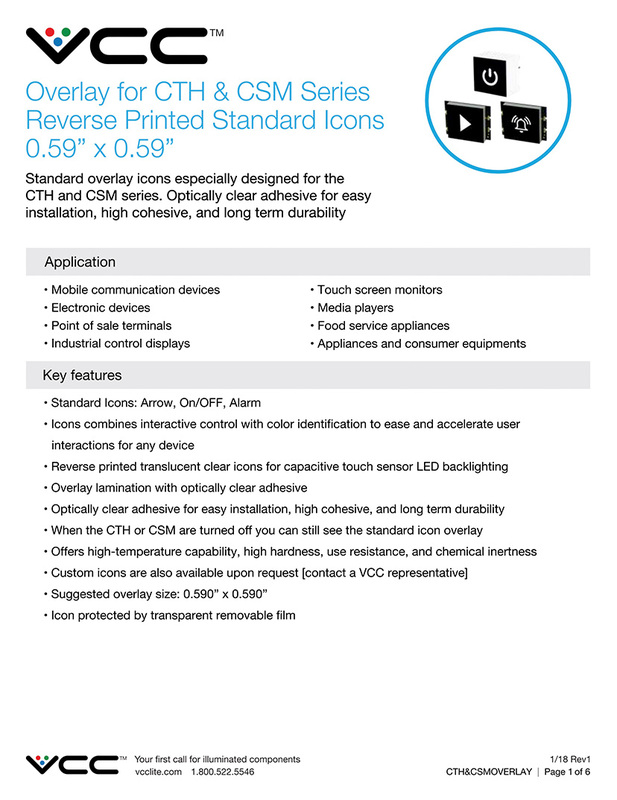 The illuminated CSM Series simplifies devices design and manufacturability, and also improves the device’s overall reliability for use in various applications. 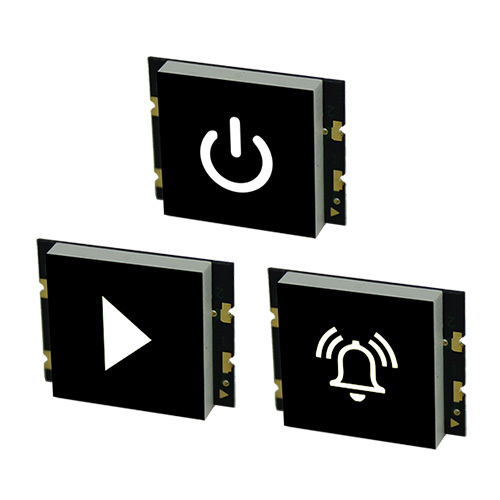 The illuminated CSM series is designed to deliver high optical clarity due to LED technology. 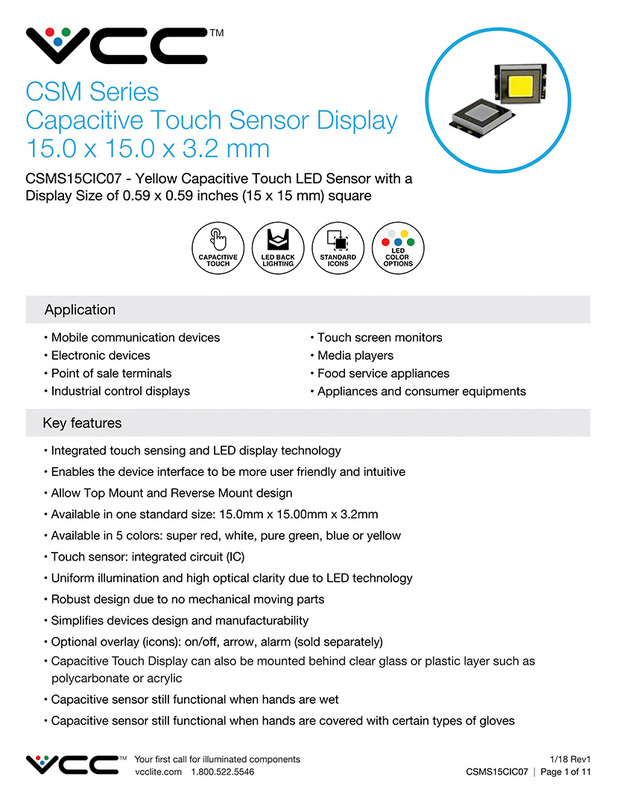 It provides a fast and intuitive interface for users and simplifies customer interactions. 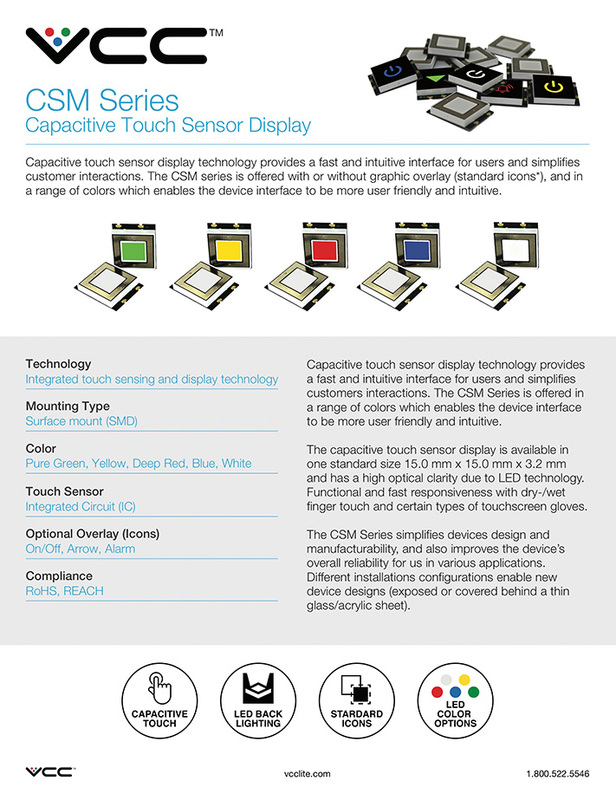 The CSM series delivers functional and fast responsiveness with dry-/wet’ finger touch and improves the device overall reliability for use in various applications. 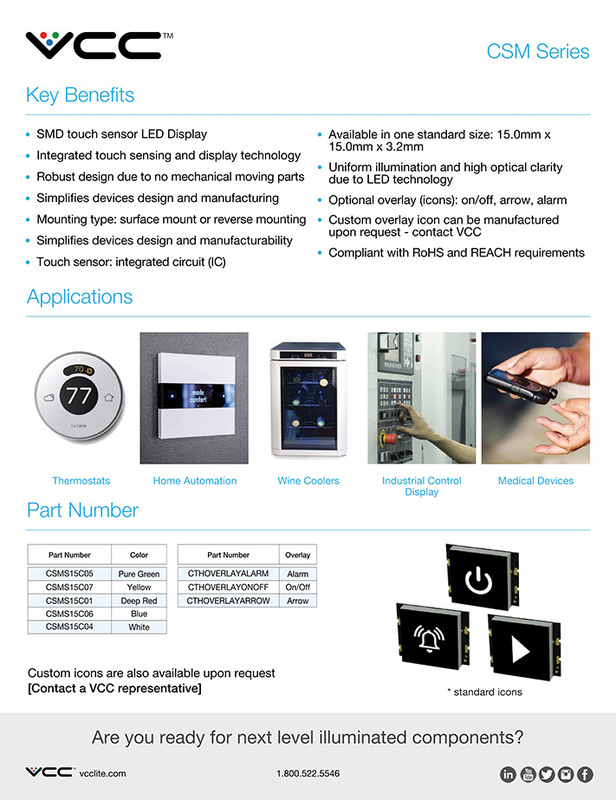 Ideal applications: home automation, thermostats, wine coolers, industrial control display, medical devices, ATM terminals, appliances, barcode scanners, telecommunications two-way radios, industrial automation equipment, glucose meters, patient monitoring devices.